Casio wanted to create the ultimate tough watch that would never break. As a result, they established the G-Shock line of timepieces to withstand the laws of nature. 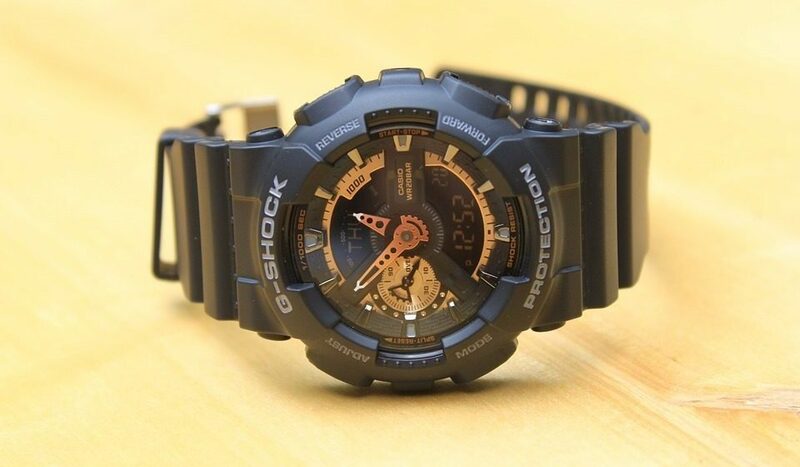 G-Shocks are not only the most durable watches on the market but also feature state-of-the-art technology. However, for some of the avid followers of this brand, they needed a watch to push the limits, which lead to the creation of the Master of G – Frogman collection. The Frogman collection was created for novices, and especially the connoisseurs. The Master of G watches will respond and adapt successfully to any conditions in the sky, on the land, and out at sea. So you’ll never have to worry about this product keeping up with your activity level or the difficulty at which you perform. So whether you’re diving to the deepest of deeps or climbing the tallest mountain in the roughest conditions, this watch will never disappoint you. Some people find the capabilities of these watches as ‘overkill’ – in other words, many people probably wouldn’t put their timepiece through the rugged situations that these watches were meant to deal with. But remember, it is better to over prepare than to under prepare. The following list was compiled to give you all the information you need on Frogman watches. We also want to help narrow your list to options that better fit your needs and activity level. Let’s be honest; these watches are not cheap! But they are worth every penny. So make sure you know what you’re buying before you drop a stack of cash. Keep in mind, all of these watches come with the durability and modern technology that you would expect from the Casio G-Shock line. This G-Shock is part of the latest men’s limited edition watch collection, which honors the brand’s 35th anniversary. This Frogman timepiece boasts the timeless, vintage-inspired case design that nods to G-Shock’s longstanding brand heritage. Also, the timepiece features a gold buckle and a band loop engraved with stars to signify the 35th anniversary. The timepiece also features the official G-SHOCK 35th-anniversary logo, designed by artist Eric Haze, engraved on the case back. This shock resistant watch features Tough Solar to ensure stable operation while using its power-hungry functions. For divers and surfers, the watch provides a tide graph and moon data. This watch is waterproof and guaranteed to work at depths of 200m underwater. Also, this product includes a full auto EL backlight with afterglow that allows you to tell time in the darkest environments. Lastly, it features world time with 31 different time zones, and a daylight savings function. For a Frogman, this watch is modestly priced and worth every penny. The Frogman series has built a strong reputation for itself in the watch world, so don’t be surprised with the amount of money you will have to spend if you want one of these timepieces around your wrist. But remember, you’re getting a quality product in return and worth its dollar value. Quantities are frequently limited in most of the Frogman models, so act fast before you miss out; possibly paying more on the resale market. This model is solar powered, shock resistant, features multi-band atomic timekeeping, and uses radio signals in order to keep accurate time. As you might expect, this timepiecd has earned excellent reviews from the buyers. It is rated as being water resistant up to 200 meters, it runs on quartz movement, and has a mineral dial window. Customers rave that the watch is heavy-duty, durable, well-made, and everything you would expect from a Frogman. Once you have this watch on your arm, you shouldn’t expect to need a new watch anytime soon. It is meant to last! This watch is the evolution of the iconic G-SHOCK Master of G FROGMAN. Its design came from the close consultation of dive rescue teams. The Frogman timepiece features numerous indispensable functions such as a new Triple Sensor. The Triple Sensor features a digital compass with auto horizontal correction, the first ever depth gauge with .1m intervals that measure to a depth of 80 meters. Also, this diver’s timepiece features a thermometer combined with an high-brightness LED backlight, Dive Mode, and is water resistant down to 200 meters. Its DLC-coated stainless steel case is shock resistant and secured with a screw-lock back and sapphire crystal. Its overall design pays homage to G-Shock’s mission of sheer toughness, and includes a flexible carbon fiber insert band with extra length provide a secure, yet comfortable fit & feel against the wrist or over a wetsuit. The Tough Solar feature ensures the watch will operate when it is working overtime. To keep this product precise and reliable, it has Multi-Band Atomic Timekeeping and receives time calibration radio signals that keep the displayed time accurate no matter where you are in the world. This timepiece is the perfect fit for you if you’re a waterman and always traveling the world in search of the most epic diving or surfs spots. A great watch for a variety of rugged outdoor activities, this Frogman stands apart from the rest with a camouflage finish available in a number of colors. The cost of this watch is in line with other Frogman models. It uses tough solar power and is rated for underwater use up to 200 meters deep. Beyond basic time keeping and other standard watch functions, it also includes tide and moon graphs, as well as a dive timer. All of the information you could need in a nearly-indestructible case – this will be a great option for a large number of outdoor enthusiasts and adventurers. When it comes to products like the Frogman line of watches, which are obviously high-quality and have the price tag to back it up, the buying decision comes down more to personal preference than the opinions of others. 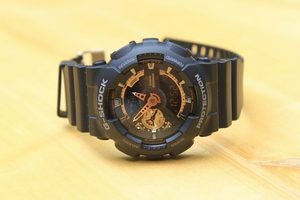 You already know that the Casio G-Shock Frogman line is made up of great watches – so you simply need to decide which one is right for you, and at what price. The G-Shock 35th Anniversary Gold Tornado Collection features a black and gold design with red inner band layers. A gold ion plating is applied to the metallic parts to celebrate the April 2018 anniversary. Like other pieces from the 35th-anniversary series, the strap keeper and engraved case back feature special graphics designed by Eric Haze and a commemorative “Since 1983” red text adorns the face. Although it is a beautiful timepiece, its functions should not be overlooked. If you’re a G-Shock aficionado, this is the novelty piece to add to your collection. It is a premier G-Shock diving timepiece, and its features include Tough Solar, Multi-Band 6, Triple Sensor (with water depth meter, compass, and thermometer), tide graph, ISO-standard 200-meter water resistance, stainless steel inner case, sapphire crystal, and carbon fiber insert band. Its big face is the perfect balance between subtle and extravagant, and will definitely turn heads among your buddies. The Master of G – Frogman collection is leaps and bounds ahead of any timepiece in its class. These are truly unique items, and those who own and use them can vouch for their accuracy, durability, and reliability in any environment and conditions. Any model you choose is guaranteed to satisfy your needs. But if we were to strongly recommend one, it would be the G-Shock 35th Anniversary Frogman GF8235D-1B . If you’re not interested in the frogman models, then you might want to look at our top-rated military watches instead.